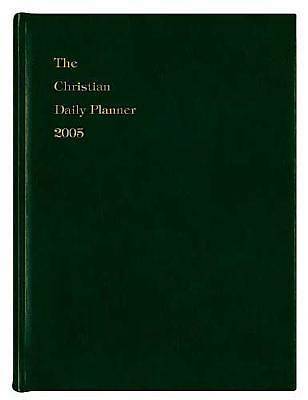 Now updated for 2005, J. Countryman's "Christian Daily Planner "has become a mainstay in the lives of believers. This year's theme, "Living a Godly Life," is broken down into month-by-month subjects, including "Wear Love-All Day, Every Day," "Never Look Back," "Let Trials Be Teachers," and many others. Featuring quotes, original artwork, and Scripture, this planner helps to keep spiritual, personal, and professional life in order.